About ten years ago these two sash windows had double glazed units fitted after the original glass had been removed. Because the original rebates that the old glass sat in was not deep enough, the contractor machined them so that they became deeper and allowed the thicker units to be fitted. This meant that the joints were reduced and their strength compromised – these sash windows should not have had double glazed units fitted due to their construction; there is just not enough stock to be able to do this. Also the rebates were not painted prior to the glass being fitted which meant that the sealant used did not adhere to the timber. Add to this the inadequate timber beads, the end result was a weakened window at the joints and the opportunity for rot to take hold once water ingressed into the rebate, due to poor adhesion of the sealant. Also there was no throat (a groove that stops capillary action taking place) underneath the bottom rail. Some sash windows can be successfully retro fitted with slimline double glazed units but not all; it depends very much on the thickness and width of the stiles (side members) and the top rail (meeting rail). 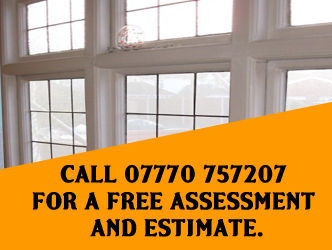 For those windows that are too slim or too narrow, single glazing remains the only option. After all, box sash windows manufactured in the early and mid part of the 20th century or earlier were not designed to accommodate such double glazed units, just like a car built in the 1970s was not designed to accommodate air bags or many other modern features we now take for granted. This is where secondary glazing comes into its own, with or without brush seals on the parting and staff beads and along the meeting rail. As I have mentioned several times in previous posts, thick curtains will certainly help. With these two sashes, I managed to replace the bottom rail and glazing bead, along with the bottom 1/3rd of the stiles. The question of weakened joints I have solved by using an adhesive as the sealant between the glass and the frame at the bottom of the rebate – not ideal because if these units need to be replaced once they blow and mist up (and all double glazed units are destined to do this, even if its years down the road) then removal may be a challenge. As you may guess, I am not a fan of double glazed units in timber windows. Normally you can strengthen joints by: 1. inserting a wooden slip, which can be seen in one of the images that accompany this post, 2. inserting a loose Tennon, or 3. inserting two wood screws that secure the stile to the rail, but on this occasion there is not enough stock to undertake any of these options. Draft proofing, re-glazing, maintenance and survey’s. Original joinery and mouldings copied. 40+ Years’ experience. 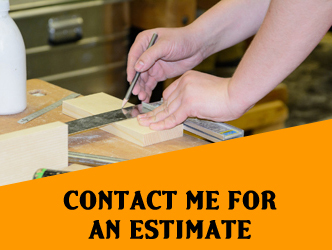 Preserving the heritage of your home, and saving you money on replacement. internal shutters and sliding shutters.